Details of the adult teams (Senior, Intermediate, Junior and U21) have now been added to the site along with the results for the year. Cuala from Dublin produced an impressive show to beat Coolderry in the first round of the Leinster Club Championship. Coolderry put up a determined fight in tough playing conditions but Cuala came out on top in the end. 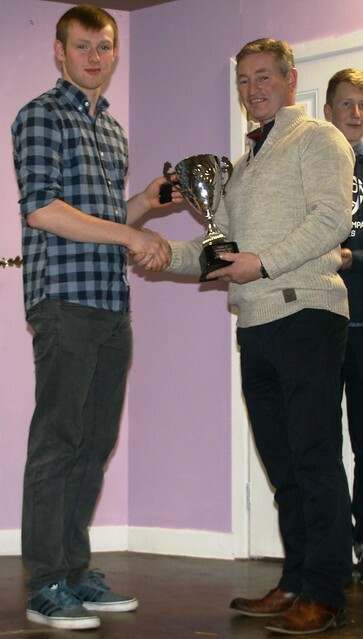 Thanks to all the Coolderry players, trainers and selectors for giving us a great year. Next year is another year! 2pm Sunday 8th of November sees Coolderry take on Cuala (Dublin County Champions). See you there with your colours on! 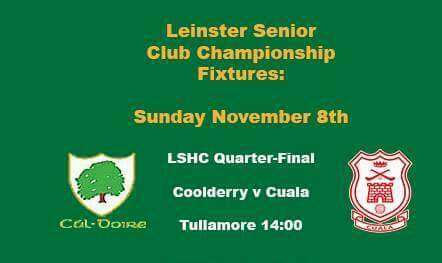 All roads lead to O’Connor Park in Tullamore this Sunday, 8th November, to see Offaly Champions Coolderry take on Cuala from Dublin in the first round of the Leinster Club Championship. 2pm throw in. Get your colours on and support the team.